The much anticipated juggernaut that helped launch Microtech into the spotlight as a high performance knife company-IS BACK! Out of production for some time the SOCOM Elite Auto is back in production for 2018. 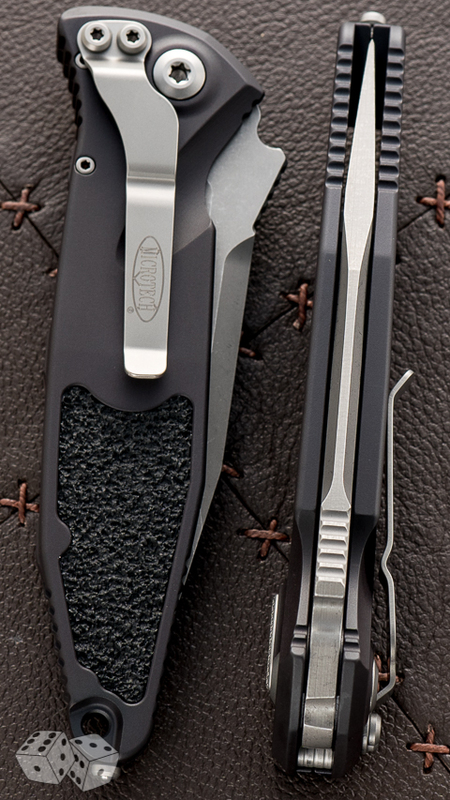 Revamped and updated including tip down carry style, Bohler M390 blade and a carbide tipped glass breaker. The current SOCOM uses standard Torx bit drivers to make maintenance a breeze. The Elite Auto also has the classic teardrop fire button that is textured for positive grip. The frame of the SOCOM has been updated just enough in the right places while still holding true to the famous previous models, the grip and form function are spot on. The tail end of the handle incorporates a lanyard hole above the glass breaker and the auto action on these is rocket fast with a satisfying click when it locks up.